When Angry Orchard Hard Cider called Nelson Treehouse and Supply, asking for a tasting room in the trees, Pete could hardly contain his excitement! What better way to sample Angry Orchard ciders than in a treehouse tasting room with a stunning view of the surrounding apple orchards and Catskill Mountains? Pete loved building this treehouse in a single, enormous white pine tree at Angry Orchard's orchard in Walden, New York. A series of knee braces support the weight of the treehouse. A single beefy white pine tree hosts the tasting room treehouse. The tasting room treehouse is directly adjacent to the orchard of apple trees. Rolf Hefti, a talented craftsman with the Nelson Treehouse and Supply crew, hand carved this stunning arch with the iconic tree face from Angry Orchard's hard cider label. The tasting room interior contains a custom-built fir bar, plenty of tables, and a great variety of Angry Orchard hard cider on tap. Read interior designer Tory Jone's Behind the Design article for a closer look at the furnishings. Guests can admire the vast apple orchards and Catskill Mountains while they sip their ciders. Pete and his crew had so much fun learning about hard cider and building this treehouse for Angry Orchard. We know that guests will love sampling ciders in this one-of-a-kind tasting room treehouse! Want a different view of the tasting room treehouse? 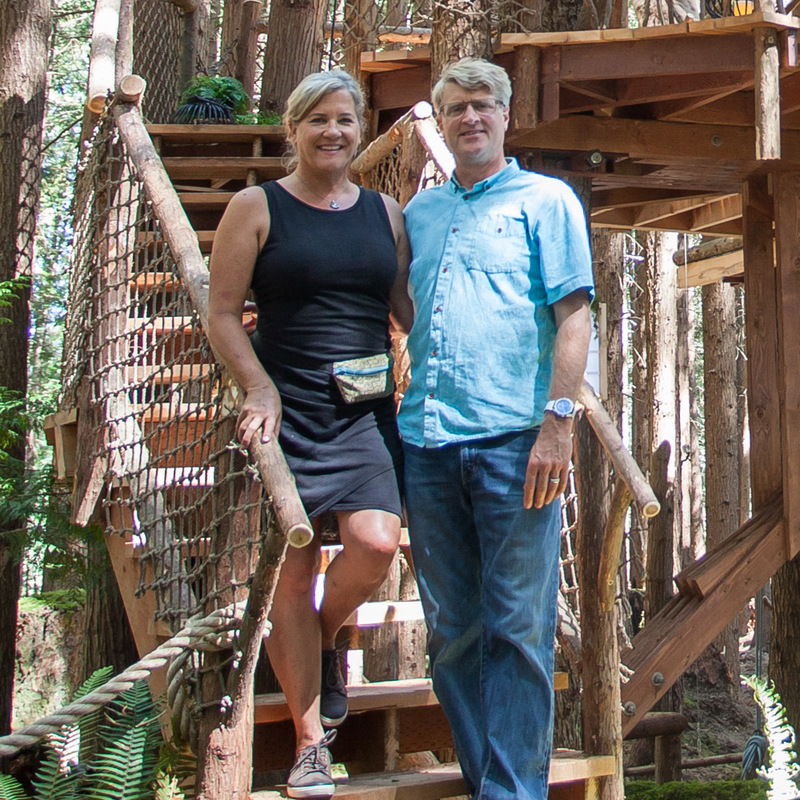 Watch Animal Planet's Treehouse Masters Behind the Build video below. What's your favorite part of the Angry Orchard Tasting Room Treehouse? Let us know in the comments below!